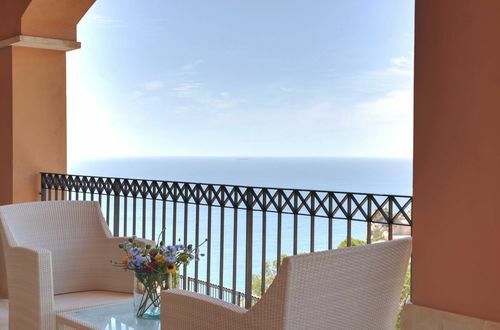 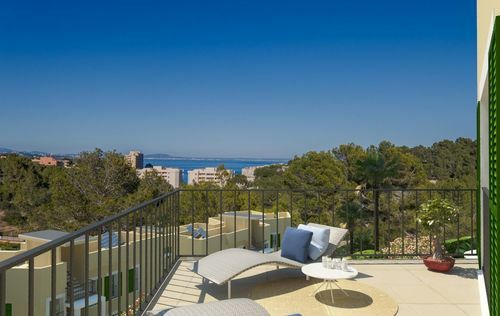 This new ultra-modern duplex apartment is within walking distance to the gorgeous beach of Cala Vinyes. 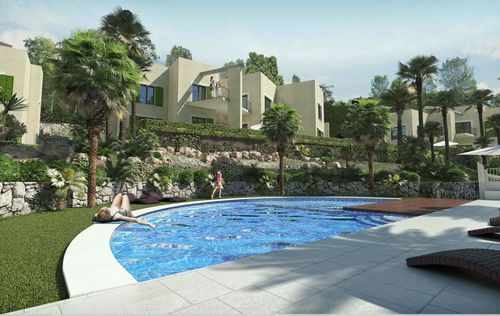 The property will have a constructed area of approximately 121.20m2 with terraces of approximately 37m2. 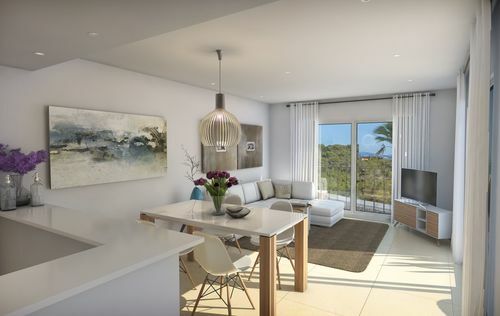 On the entrance floor you will find a living room with a dining area and a fully fitted open plan kitchen, access to a terrace and a guest WC. 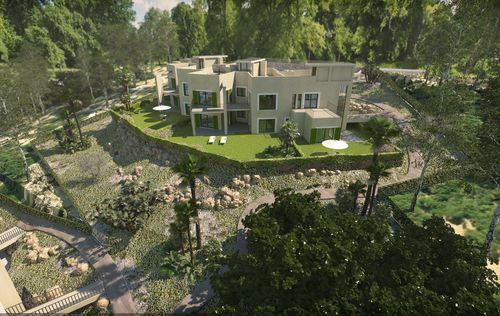 The lower floor will consist of a master bedroom suite with a bathroom, two further bedrooms and an extra bathroom. 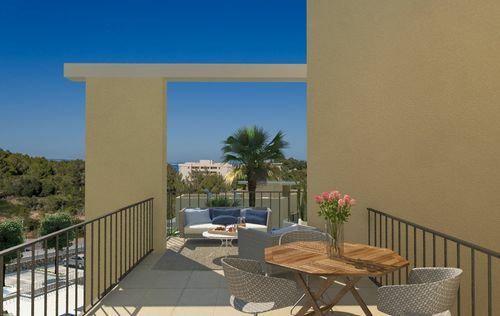 You have access to the second terrace which is part of a lovely private garden. 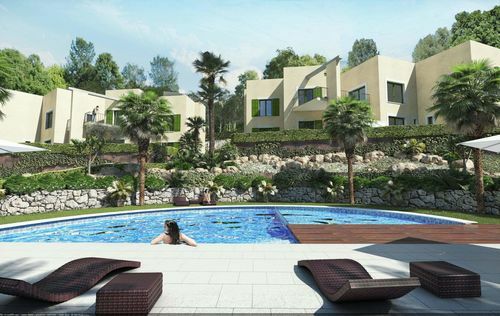 The complex will offer a stunning communal garden along with a swimming pool. 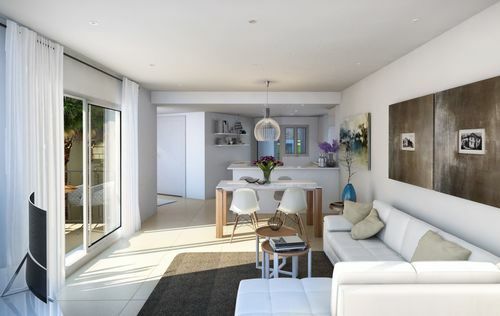 Other characteristics of this lovely property will be the double glazing, a parking space and storage, hot/cold air conditioning, video-intercom, an electric gate and a garden irrigation system. 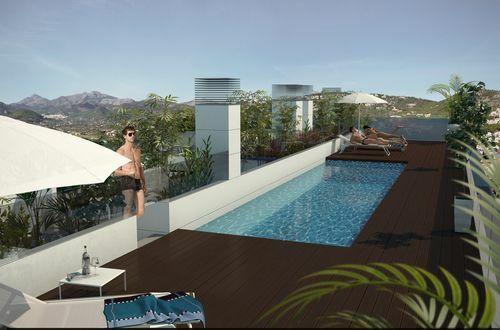 This new construction will be located in the fantastic area of Cala Vinyes which is quietly tucked away in the South-West of the island. 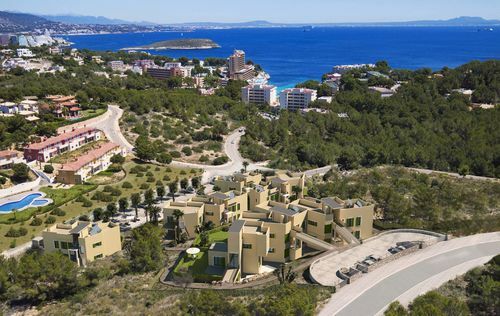 Without a doubt Cala Vinyes’ best asset is its glorious white sand beach with its crystal clear waters.